The Culture and Civilisation strand allows students to engage with a range of medieval sources and themes to explore the importance of the Middle Ages in the formation of European cultural identities. Students may choose to take modules on topics such as medieval art and architecture, gender and sexuality, music, religion and belief, literature, and history. In addition students may study a language. The strand is thus designed to equip students to work across traditional disciplinary boundaries. Students in this strand take four core modules (5 ECTS each): Sources for Medieval Studies I and II, Introduction to Medieval Books and Documents, and Reading Medieval Books and Documents. 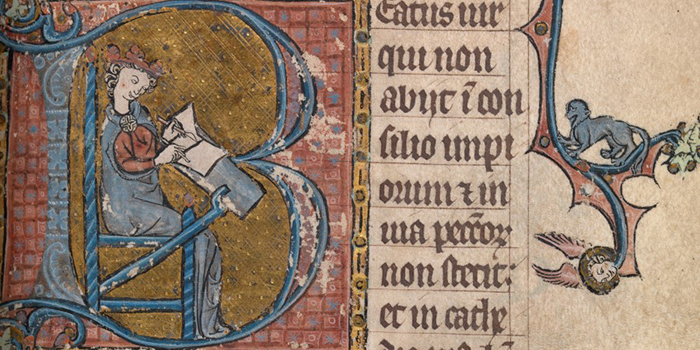 These build key skills in reading medieval sources. In addition, students select four optional modules (10 ECTS each), potentially including a language, and complete a dissertation of up to 20,000 words. The dissertation allows students to conduct in-depth research on a subject of their choice, with expert supervision.